There are a lot of unique tile options out there on the market today. While it can become a little overwhelming, the right designer can help to make the selections for your project less daunting. 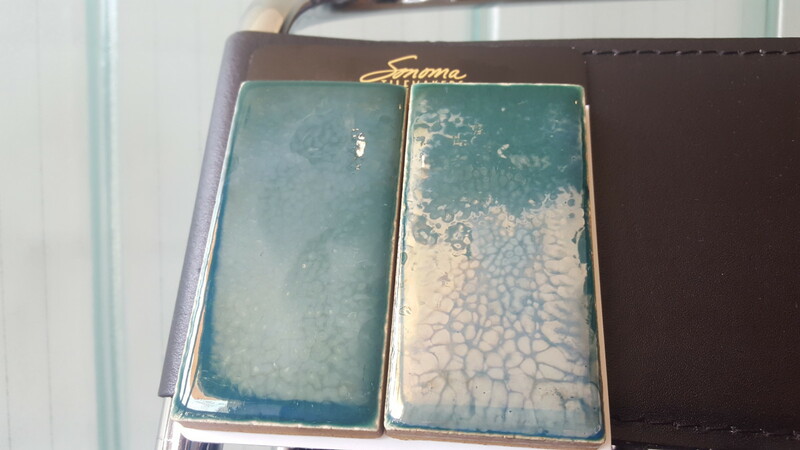 This metallic looking glass tile is by Ann Sacks and comes in different metals. The back of the glass has a silver leaf and makes a bold statement. 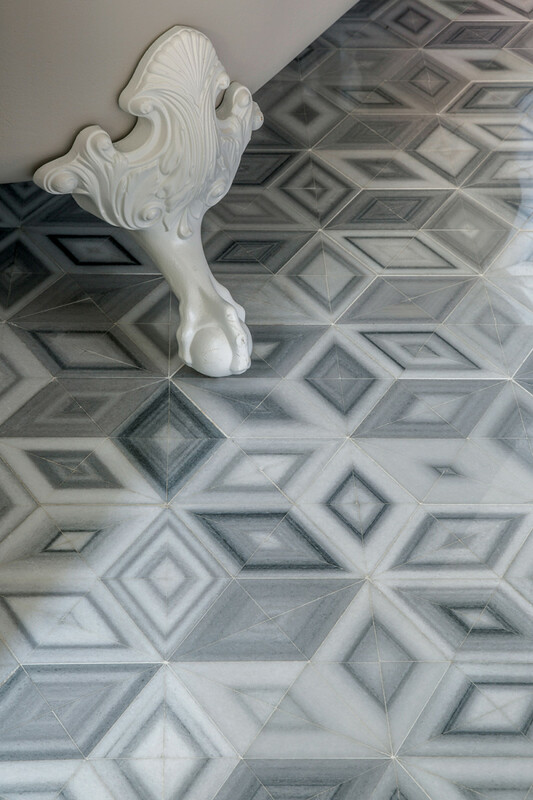 This custom floor pattern was created using Artistic Tile’s Zebriano Bluette and Thassos Marble. 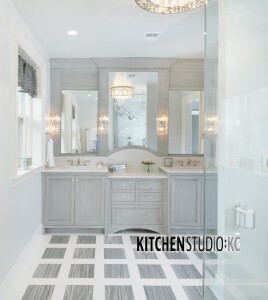 Custom patterns can be created on site using square or rectangular tiles. 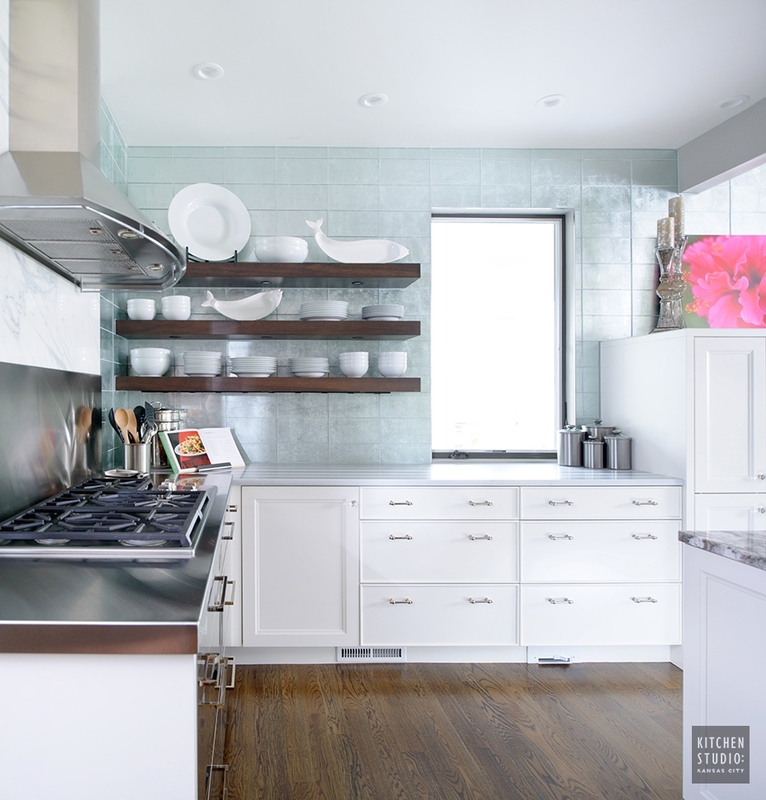 This backsplash was created using antiqued mirror and wood matching the cabinetry. One alternative where you would typically see tile used. 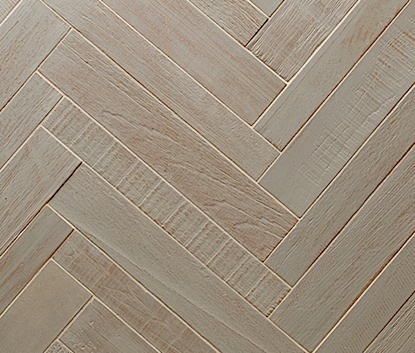 This is a Teak wood tile created by Walker Zanger. 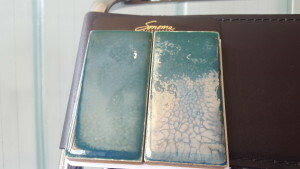 The color shown here is Silver. 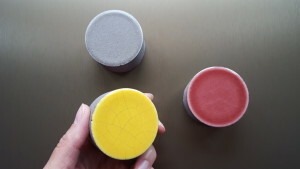 There are several different patterns and colors available. 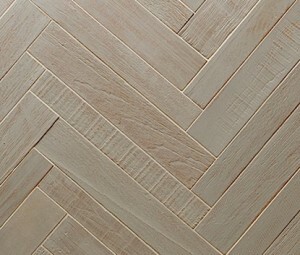 See www.walkerzanger.com for more details. 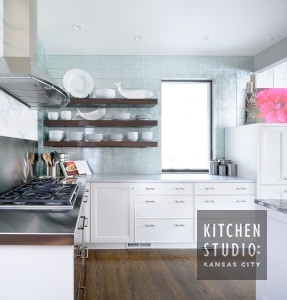 We have a lot of questions regarding countertop materials and options. 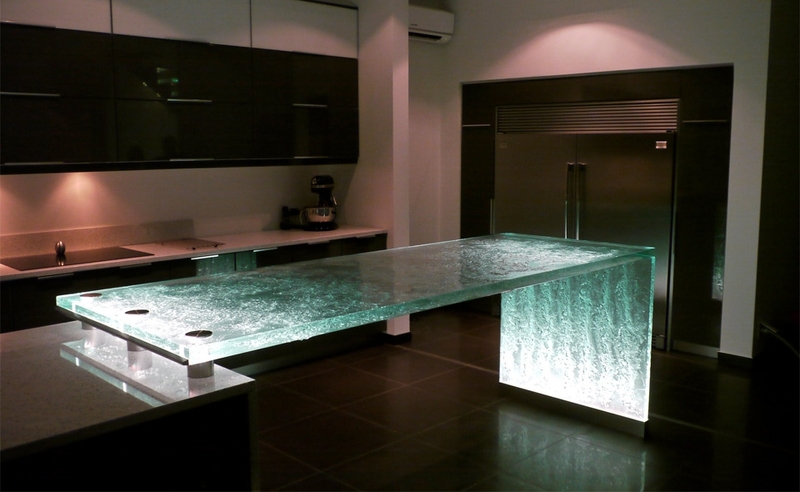 You do not have to stop at a man made quartz or a natural stone for your counters. 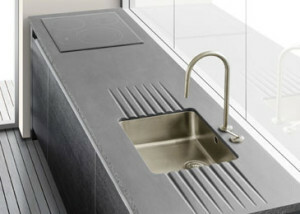 There are amazing and unique counter materials available that can really dress up a kitchen or bathroom and make a statement all on their own. 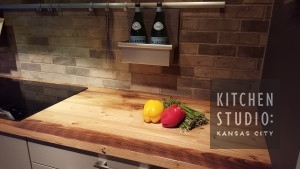 RawUrth Steel countertop available for view at Kitchen Studio. 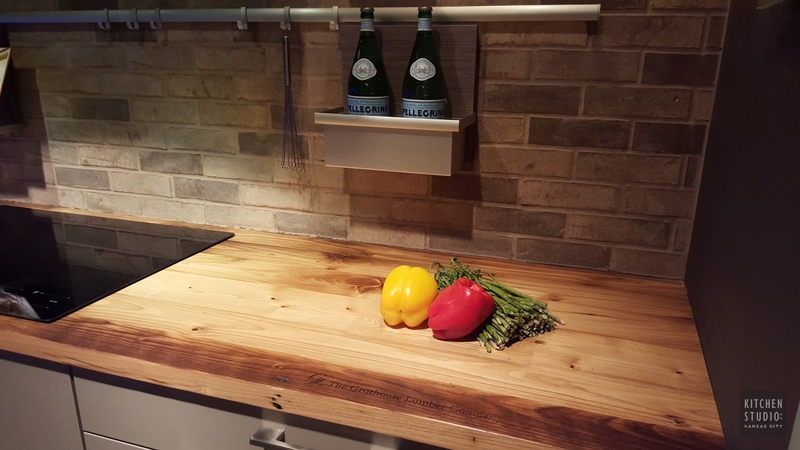 Grothouse Lumber Ash countertop available for view at Kitchen Studio. 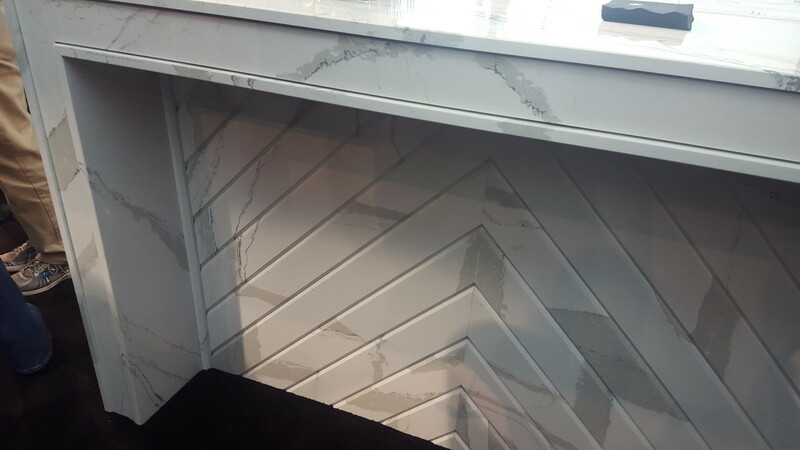 While walking through the venue at this year’s Kitchen and Bath Show, we saw a great many products worth taking note of. 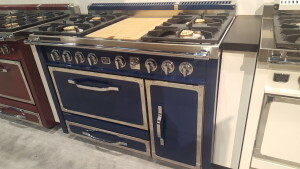 Among them was this fabulous new Range by Viking called the Tuscany. This is one of the few Viking products not made in America, but the look of this Range is unique and with a company like Viking backing it, you know that it will be a quality product. There were so many options of tile on display that it was difficult to choose just one for this post, but I went ahead with this beauty from Ann Sacks. From the ASC Modern Field tile line in the New Bronze Luster Matte finish. 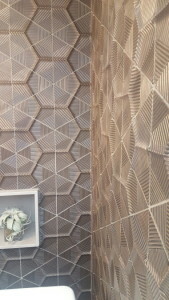 These triangular tiles come together to create this most visually appealing tile pattern. This island was created using a man made quartz product called Cambria in the color Brittanicca. Cambria is made in the USA and boasts a Lifetime Limited Warranty for all of their products. There are many benefits to using a man made quartz product, including the unique style you can achieve, the durability and resistance to staining and scratching. 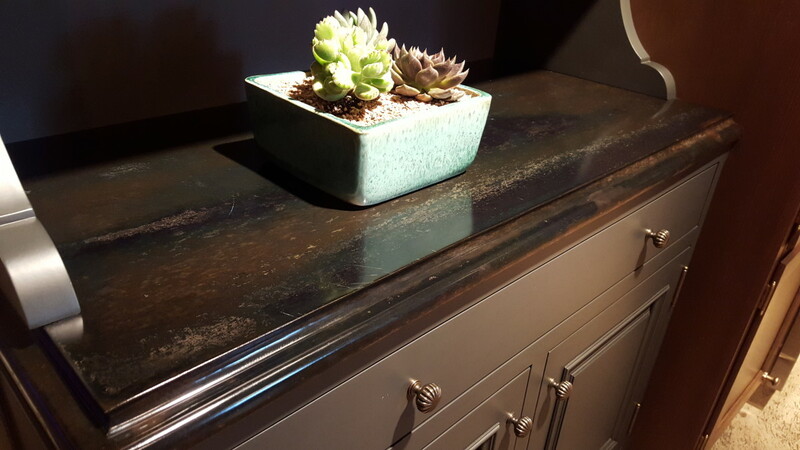 The slabs used for this island have been beveled to create a one of a kind look with tremendous visual appeal.